Vintager gives spirit to ordinary photos! Vintager 2.0 was available as a giveaway on February 7, 2016! Vintager gives spirit to ordinary photos! The first effect based photo editor for Windows, which can successfully substitute popular mobile Instagram-a-like apps. The software contains over 30 good looking effects and can transform an ordinary photo into a fancy looking one with one simple click. Simple and intuitive use doesn't require any advanced design and computer skills, but powerful enough to replace a use of expensive software for the majority of users. How would you improve Vintager 2.0 ? A great number of options enables you to create multiple file types, delete files, copy them using clipboard, move them between folders and partitions on your PC, rename files, print out selected documents, create lists of favorite file locations, compare directories by their properties, mount disk image files so they can be browsed or burned via System Navigator embedded file burning feature. Purchase at 50% discount. 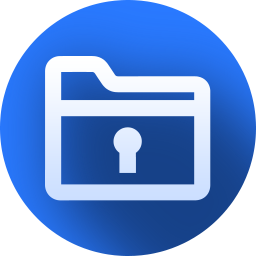 Archiver is a powerful utility software that offers basic and advanced archiving options and a set of file management operations taken from System Navigator. It supports 39 compression formats in unpacking which makes it an ideal software for everyday use. Purchase at 50% discount. Personal Monitor offers a password protected system of processes monitoring, events and keyboard activity on your PC. It records all work that has been done and saves that information for later viewing. It can also send all the recorded information to FTP or E-mail - up to your choice. Purchase at 50% discount. Employee Monitor allows you to monitor the PCs of your employees in a very useful way by giving you a picture of what your employees are doing. This picture consists of information about currently running processes on any of the monitored PCs, keyboard activity recordings, event and window information, and a live preview of the monitored PC's desktop. Purchase at 50% discount. A nice Windows alternative to quick photo-effecting like you can do with a myriad of smartphone apps. Good range of effects and frames, including reasonable lighting/colour adjustments. Though didn't realise for a few minutes, clicking effect thumbnail (eg, "Blossom") toggles the effect on and off, so you don't have to scroll to a thumbnail called "No effect" or hit some other button. Crop/resizing was a bit confusing at first, but actually like it now. Drag n Drop a photo from Explorer. Some quirky functionality that takes some brain-training to get used to, and really needs a screen size control. But will keep as a quick-and-dirty photo-effecter for posting/sharing rather than lugging out my Photoshop/Lightroom editors. Positives - A nice Windows alternative to quick photo-effecting like you can do with a myriad of smartphone apps. Good range of effects and frames, including reasonable lighting/colour adjustments. Though didn't realise for a few minutes, clicking effect thumbnail (eg, "Blossom") toggles the effect on and off, so you don't have to scroll to a thumbnail called "No effect" or hit some other button. Crop/resizing was a bit confusing at first, but actually like it now. Drag n Drop a photo from Explorer. Negatives - Default save applies a "Vintager" watermark; you have to remember to uncheck the box every time you run the program (even with "member" activiated). A bit strange in the Windows world not to use classic Open / Close / Save / Save As / Cancel for file management, but I can live with the way it works. Collage functionality is weird; drop that capability and leave that task to Photoscape or similar! No screen size control - very odd in a Windows world, and even more of a strange omission for an image processing app - though practically a default in Android :) Overall - Some quirky functionality that takes some brain-training to get used to, and really needs a screen size control. But will keep as a quick-and-dirty photo-effecter for posting/sharing rather than lugging out my Photoshop/Lightroom editors. It is impossible to activate this program. Comment Short Version Not bad. The Details Installed without issues on Windows 10/64. It was easy to understand and easy to use, despite its total lack of help files for those who might need them. I was impressed by the number of different frames and effects that were available. I will keep this as one of my many editing programs, probably for the frames alone on simple pictures that are just used online or the like. I was not impressed (and apparently have a good deal of company in that) that a paid membership was required just to save the resulting picture in its original size. I mean, COME ON, AUTHOR! I know you probably need to raise money for development, but IMHO that is the -wrong- way to do it. I was totally liking the program right up to that point, but that one item alone was a MAJOR turn-off. Good luck with your future development, and thanks for participating in GAOTD. <b>Comment Short Version</b> Not bad. <b>The Details</b> Installed without issues on Windows 10/64. It was easy to understand and easy to use, despite its total lack of help files for those who might need them. I was impressed by the number of different frames and effects that were available. I will keep this as one of my many editing programs, probably for the frames alone on simple pictures that are just used online or the like. <b> I was not impressed</b> (and apparently have a good deal of company in that) that a <b>paid membership</b> was required just to save the resulting picture in its original size. I mean, COME ON, AUTHOR! I know you probably need to raise money for development, but IMHO that is the -wrong- way to do it. I was totally liking the program right up to that point, but that one item alone was a MAJOR turn-off. Good luck with your future development, and thanks for participating in GAOTD. In Member mode program use high quality textures and not only large photo export size. Free version has limitation to 2048 max photo picture which is already far more then similar programs such as Instagram offers and Premium (Member) mode allows high quality textures and larger output size. Several people have made remark to this issue. New release that is currently under develop will be resizable with larger Preview etc. Installed without any errors displayed. Dragged a couple of .tiff files into it. Only all-black renditions were displayed. The display area is way too small. The program is not written to be scalable. You can't maximize it. Not professional quality in that respect. Reminds me of trying to run graphics programs that were written long ago that didn't think screens would ever grow beyond 640 by 480. If I can't see what I'm doing, then I won't use it. Installed without any errors displayed. Dragged a couple of .tiff files into it. Only all-black renditions were displayed. The display area is way too small. The program is not written to be scalable. You can't maximize it. Not professional quality in that respect. Reminds me of trying to run graphics programs that were written long ago that didn't think screens would ever grow beyond 640 by 480. If I can't see what I'm doing, then I won't use it. Cute app that does what it says -- it lets you apply several different FX, along with several frames or borders, to your image much the same way you'd apply those same type of FX using the tools provided by a photo storage site or service. RE installation, the only real note is that it adds ~300MB to your ProgramData folder. Activation is a bit unusual, hinting that some sort of on-line service or community is planned [the product site is more fancy than informative], but if you follow the directions in the GOTD readme.txt file, loading an image, going to settings, & clicking on "Use original photo size", the dialog pops up just like it should. The idea or appeal of Vintager is that it's a quick way to jazz up a photo without spending a lot of time or effort. You can do more, & sometimes the same things better, using the tools at some storage sites, using different apps on your Android cell phone, & of course using a full fledged image editing program, but that's not the point of Vintager, which is to make adding FX quick, easy, & as painless as possible. If you really want to go vintage, look for apps &/or plug-ins that let you mimic the actual characteristics of different films etc. used during whatever period you're trying to mimic. Or if you're really into it, look into what films etc. are still available -- yes, a relative few photographers still use that stuff, often combined with current digital tech. Cute app that does what it says -- it lets you apply several different FX, along with several frames or borders, to your image much the same way you'd apply those same type of FX using the tools provided by a photo storage site or service. RE installation, the only real note is that it adds ~300MB to your ProgramData folder. Activation is a bit unusual, hinting that some sort of on-line service or community is planned [the product site is more fancy than informative], but if you follow the directions in the GOTD readme.txt file, loading an image, going to settings, & clicking on "Use original photo size", the dialog pops up just like it should. The idea or appeal of Vintager is that it's a quick way to jazz up a photo without spending a lot of time or effort. You can do more, & sometimes the same things better, using the tools at some storage sites, using different apps on your Android cell phone, & of course using a full fledged image editing program, but that's not the point of Vintager, which is to make adding FX quick, easy, & as painless as possible. If you really want to go vintage, look for apps &/or plug-ins that let you mimic the actual characteristics of different films etc. used during whatever period you're trying to mimic. Or if you're really into it, look into what films etc. are still available -- yes, a relative few photographers still use that stuff, often combined with current digital tech. Fr those wanting the Black layout, there is a temporary work around until the site owners decide to go back in black. 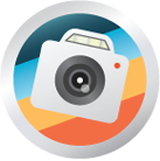 Vintager enables you to turn your images into vintage-style photographs with the click of a button. You can pick from about a dozen different presets that simulate different vintages and file types. In addition, you can add a photo frame and vignetting effect, adjust brightness settings and optionally rotate, crop or resize your photo. I found this review on the internet................ Vintager enables you to turn your images into vintage-style photographs with the click of a button. You can pick from about a dozen different presets that simulate different vintages and file types. In addition, you can add a photo frame and vignetting effect, adjust brightness settings and optionally rotate, crop or resize your photo. Please note, however, that it does require at least 4GB ram to run, or 8GB ram if you are using it as a Photoshop Plugin. It also requires 1.5GB of your hard drive for installation. You will also need to give them your name and an email address for them to send you a link for downloading. It is a very powerful program. I have been using their full version software since Version 4 - (they are now at Version 10) and while I have had moments of frustration with both the software and the company in the past, they have continued to improve and I rate my experience with them as between 8 and 10 over the past 2 years. For another Free alternative, I recommend ON1 Effects 10 Free. You can see a comparison chart between the Full version and the Free version, as well as examples of what can be accomplished with the Free version at.... https://www.on1.com/apps/effects10free/ Please note, however, that it does require at least 4GB ram to run, or 8GB ram if you are using it as a Photoshop Plugin. It also requires 1.5GB of your hard drive for installation. You will also need to give them your name and an email address for them to send you a link for downloading. It is a very powerful program. I have been using their full version software since Version 4 - (they are now at Version 10) and while I have had moments of frustration with both the software and the company in the past, they have continued to improve and I rate my experience with them as between 8 and 10 over the past 2 years. I too have it as a plugin. totally agree, On1 have improved beyond recognition. <b>Louis Hazard</b> I too have it as a plugin. totally agree, On1 have improved beyond recognition. This Gotd is very nice, but I don't like it's installation. I forward it to my APP partition, but there it took only 16Mb. On C it took 300MB to place all it's dat files. I'm sorry, this is not what I want. How nice it might be I guess I will remove it in few days. This Gotd is very nice, but I don't like it's installation. I forward it to my APP partition, but there it took only 16Mb. On C it took 300MB to place all it's dat files. I'm sorry, this is not what I want. How nice it might be I guess I will remove it in few days. If a program does not offer an option, or If assigned it to D: HDD and it installs to the C: SSD, it will be removed. <b>Adif</b> Good to know. If a program does not offer an option, or If assigned it to D: HDD and it installs to the C: SSD, it will be removed. Indeed, the files are in C:\Users\All Users\Vintager . I tried to move them to my app partition, into the Vintager folder, but then it wont work. It looks for them there. Surly no need for data files to be placed on the system drive. <b>BobbyA</b> Indeed, the files are in C:\Users\All Users\Vintager . I tried to move them to my app partition, into the Vintager folder, but then it wont work. It looks for them there. Surly no need for data files to be placed on the system drive. The C drive is not my application drive and to store such a large amount of data on anything other than the application drive is difficult to understand. So sadly it has to go. <b>Adif</b> Thanks for the information, in XP found the data files at the following:- C:\Documents and Settings\All Users\Application Data\Vintager The C drive is not my application drive and to store such a large amount of data on anything other than the application drive is difficult to understand. So sadly it has to go. It's too bad it forces you to have files on drive C: even when you install it on D: (or other drive/partition). Maybe if you edit the registry you can override those files to a D: location, but good luck with doing that without errors (and time consuming). <b>Adif</b> It's too bad it forces you to have files on drive C: even when you install it on D: (or other drive/partition). Maybe if you edit the registry you can override those files to a D: location, but good luck with doing that without errors (and time consuming). I did took a peek in the registry but there wasn't a reference to that C: folder. On installation one wasn't asked also if he wants it to be installed for All Users at all. A big culprit for what could be fine app. ** We will wait for corrected ver 2.2 as GODT in few months. <b>Mark</b> I did took a peek in the registry but there wasn't a reference to that C: folder. On installation one wasn't asked also if he wants it to be installed for All Users at all. A big culprit for what could be fine app. ** We will wait for corrected ver 2.2 as GODT in few months. For those of you (Everyone) that wonders what this offering does. The name and description above of this Giveaway gives no clue as to what the Giveaway does. It is extremely poorly written. Please Exeone, learn how to properly describe your product other than making bold claims like; "The first effect based photo editor for Windows, which can successfully substitute popular mobile Instagram-a-like apps". Including a "Save as" Button would have been nice. That way you could rename & choose file location in one easy step. It would also make it safer so as not to overwrite an original photo! One could also save a redone photo easier as you were making changes in case of a system crash, or be able to save a series of photo's as you went alone to compare later. Using an 'Apply" button infers that you are making changes to an original & not a copy. It's a little confusing to say the least! Having a "Save as" button leaves no question as to what you are doing and to where you are saving it to! Thanks for the chance to try out your software, I'll be trying out more functions in the up comming days of that you can be sure! Thanks again for making it available! The activation process is absurd, requiring the user to become "a member" with a membership number, whilst registration eschews the usual 'About' menu and instead requires you to import an image, tick a box to ensure you keep the original size, and then segmentally -- segmentally, mind you -- laboriously copy and paste in your membership code. Vintager is a free application, however its development costs real money. This is why we introduced membership for all our users that are willing to donate a small amount and help us maintain Vintager as it is, superb and free of charge. No mention of $29.95 there, then. The size of this app is such that a lengthy download time isn't going to enamor it to those on slow speed connections, but at least there's some hope to be had that substance will equal quality. But no. So "superb" is this free-but-membership-required product that it doesn't even have a resizable window. Instead, there's an 11.5cm x 8.5cm display which for all practical purposes might as well be a large thumbnail. It's so blatantly useless that not only is it well-nigh impossible to see the changes made by the various tonal filters, matters become downright hilarious when attempting to use the "Crop and Resize" function. As for the effects presets, one can only wonder not at the amount of skill which may or may not have gone into their creation but the amount of time expended in dreaming up their names -- everything from Billie and Candela to Fella and Amelia. Verdict: whatever else this developer offers in the way of "Software for Professionals" this particular product is about as bad as it gets. neither of which require "membership" and neither of which are anything like the bloated mess that Vintager is (by contrast, PhotoScape is a mere 20Mb download.) Nothing about it explains why the developer has chosen to get into a software sector it all too clearly knows nothing about and has evidently made no effort to even find out. The activation process is absurd, requiring the user to become "a member" with a membership number, whilst registration eschews the usual 'About' menu and instead requires you to import an image, tick a box to ensure you keep the original size, and then segmentally -- <i>segmentally,</i> mind you -- laboriously copy and paste in your membership code. In case you can't quite get to grips with this time-consuming farrago, there's a Help button to hand which ironically proves to be rather less helpful than the developer may've hoped, seeing as how under the 'Membership' option the following appears: <i>Vintager is a free application, however its development costs real money. This is why we introduced membership for all our users that are willing to donate a small amount and help us maintain Vintager as it is, superb and free of charge.</i> No mention of $29.95 there, then. The size of this app is such that a lengthy download time isn't going to enamor it to those on slow speed connections, but at least there's some hope to be had that substance will equal quality. But no. So "superb" is this free-but-membership-required product that<b> it doesn't even have a resizable window.</b> Instead, there's an 11.5cm x 8.5cm display which for all practical purposes might as well be a large thumbnail. It's so blatantly useless that not only is it well-nigh impossible to see the changes made by the various tonal filters, matters become downright hilarious when attempting to use the "Crop and Resize" function. As for the effects presets, one can only wonder not at the amount of skill which may or may not have gone into their creation but the amount of time expended in dreaming up their names -- everything from <i>Billie</i> and <i>Candela</i> to <i>Fella</i> and <i>Amelia.</i> <b>Verdict:</b> whatever else this developer offers in the way of "Software for Professionals" this particular product is about as bad as it gets. No-one with any understanding of image post-processing work would <i>ever</i> deliver something with a non-resizable window. Vintager doesn't come within a country mile of genuinely "superb" freeware like Paint.net and PhotoScape -- http://www.getpaint.net/index.html http://www.photoscape.org/ps/main/index.php neither of which require "membership" and neither of which are anything like the bloated mess that Vintager is (by contrast, PhotoScape is a mere 20Mb download.) Nothing about it explains why the developer has chosen to get into a software sector it all too clearly knows nothing about and has evidently made no effort to even find out. Uninstalled. You are making an advertisement to another product writting bad stuff about this one? This program should be simple, to have a nice effects that will serve to majority of users. And it does. I'm quite happy with effects and simplicity. Don't need to be a PS guru or anything like that, just copy photo from my camera and edit it simple. If you don't like then don' use it. <b>MikeR</b> You are making an advertisement to another product writting bad stuff about this one? This program should be simple, to have a nice effects that will serve to majority of users. And it does. I'm quite happy with effects and simplicity. Don't need to be a PS guru or anything like that, just copy photo from my camera and edit it simple. If you don't like then don' use it. "... and then segmentally -- segmentally, mind you -- laboriously copy and paste in your membership code." "Verdict: whatever else this developer offers in the way of "Software for Professionals" this particular product is about as bad as it gets"
I think of Vintager as a Windows app for people that A) don't store their pictures online, where the site would probably have similar tools [again if not better], and B) who don't want to deal with any learning curve -- they don't want to figure out what features their camera has or don't want to bother with apps on their cell phone, & don't want to even bother looking under a Windows image app's menus. I know people that fit that description... they don't have zero interest in photos, but barely enough to nudge the needle on the dial. <b>MikeR</b> <i>"... and then segmentally -- segmentally, mind you -- laboriously copy and paste in your membership code. "</i> Yeah, I was thinking at the time that that might just be the most vintage part of the app. ;) <i>"Verdict: whatever else this developer offers in the way of "Software for Professionals" this particular product is about as bad as it gets"</i> I agree 100%. I think of Vintager as a Windows app for people that A) don't store their pictures online, where the site would probably have similar tools [again if not better], and B) who don't want to deal with any learning curve -- they don't want to figure out what features their camera has or don't want to bother with apps on their cell phone, & don't want to even bother looking under a Windows image app's menus. I know people that fit that description... they don't have zero interest in photos, but barely enough to nudge the needle on the dial. Thanks for your usual excellent write-up; just would like to point out one area of interest, resizing a window. Sadly, I speak from experience as I have just spent the last, week more or less, attempting to do this in Delphi 7. *Some programmers more knowledgeable than myself have stated that it is impossible to even maintain the aspect ratio in certain display sizes. <b>MikeR</b> Thanks for your usual excellent write-up; just would like to point out one area of interest, resizing a window. Certain very good programming languages have extreme difficulty in doing this; with some of the later display sizes just maintaining aspect ratio is impossible* Sadly, I speak from experience as I have just spent the last, week more or less, attempting to do this in Delphi 7. *Some programmers more knowledgeable than myself have stated that it is impossible to even maintain the aspect ratio in certain display sizes. We're very sorry to hear that your verdict for this program is "as bad as it gets". Vintager has large number of users and many of them don't share your opinion. Still, what you wrote about scaling the Window is something that was reported earlier by many of our clients, that is why new version is under develop. It will contain new interface with possibility to resize it, larger preview and also new effects. Anyone who get software for free on this promotion will be able to use the same Member code to all further updates. Don't know why you compare Vintager with Paint.net? It's a totally different style of program. Vintager is effect based software. Purpose of the program is to enable fast photo operation, for users who are not skilled enough to make their own presets. It's similar to Instagram, Pixlr, Fotor and not to Photoshop or Paint.net..
Also for users who don't have to afford money for expensive software, such as Photoshop, and doesn't require all feathers that Photoshop can offer them. If you have any more questions don't hesitate to ask. Answers: 1) File size is quite a big cause it contains high quality layers 2) These layers on high quality photo and large size export features are available in this Member (Premium) version. Standard quality version is Free 3) This video will show more about features and what software does: https://www.youtube.com/watch?v=GjJcFarqdh4 If you have any more questions don't hesitate to ask. downloaded and installed fairly easy on win 10. Registration, had to attempt it twice, but finally got it working. After playing around, I must admit I am highly disappointed in this software. The filters are extremely basic (at best), and something that most photo editors can do while asleep. Whether this is a freeware or this version has extra "features", these effects are not worth the room on any of my drives. It is not if you can create "the same" effects with a photo editor, but how much time you need to get "the same" effects. I am reasonably familiar how old photo´s degrade and it is not to easy to resemble that appearance. It might seem easy though. If you like vintage looking photo´s and don´t want to waste a lot of time; this program can create satisfying results. <b>Levitiquetus</b> Sorry to contradict you somewhat, but those filterpresets might appear as just a blue/red/brown filter, but they really are more complex. (bokeh filter being an exception : that is too simple) It is not if you can create "the same" effects with a photo editor, but how much time you need to get "the same" effects. I am reasonably familiar how old photo´s degrade and it is not to easy to resemble that appearance. It might seem easy though. If you like vintage looking photo´s and don´t want to waste a lot of time; this program can create satisfying results. Thanks for responding to the comments. Why are the data files put on the system partition rather than the program partition? <b>Ivan</b> Thanks for responding to the comments. Why are the data files put on the system partition rather than the program partition? Data requires editing. Putting them inside Program Files it's unable to edit without Admin privileges. Anyway, this issue has been noted to our developers and we'll try to put in the next release possibility that user specify Data folder. The file's gigantic 95 MB, perhaps it's an entire operating system ! do u know the size of an OS? <b>gord</b> do u know the size of an OS? Yes we do and a lot of Linux Distributions like Puppy are smaller than 95MB and fully functional. <b>necromancer</b> Yes we do and a lot of Linux Distributions like Puppy are smaller than 95MB and fully functional. I have not used Puppy since version 2.12 when it was under 100 MB but other fully functional operating systems are well under 100 MB, DSL should still be about 70 MB or so. My point is not everyone uses Mac or Windows. <b>necromancer</b> I have not used Puppy since version 2.12 when it was under 100 MB but other fully functional operating systems are well under 100 MB, DSL should still be about 70 MB or so. My point is not everyone uses Mac or Windows. Here is a video I found showing the effects. 3) You will be asked for the Member ID. I followed the instructions and was never asked for the Member ID. I can't even tell if it's registered from a previous giveaway. I never understood why companies make registration something hidden or complicated enough to seek support to figure out. If you do not like to mess with those sliders and can figure out how to register this then it may be right for you. The Read Me file reads, 1) Run Vintager and open any photo; 2) Go to settings tab (gear icon) and click "Use original photo size"; 3) You will be asked for the Member ID. I followed the instructions and was never asked for the Member ID. I can't even tell if it's registered from a previous giveaway. I never understood why companies make registration something hidden or complicated enough to seek support to figure out. Paint.net is free and using the Adjustments and Effects you can create everything this program does with more vintage varieties. To learn how, video search: 'Paint.NET tutorial number 90 - Vintage photo effect' If you do not like to mess with those sliders and can figure out how to register this then it may be right for you. Hitting it you can see if program runs in Standard or Member mode. <b>SoftwareJunkie</b> Shortcut is Ctrl+Alt+M Hitting it you can see if program runs in Standard or Member mode. Thanks. That shows it to be registered for a lifetime. <b>Ivan</b> Thanks. That shows it to be registered for a lifetime. Installed and registered; when details are filled in the registration code appears on the screen rather than by e-mail, the busy screen does not make this to easy to see. On opening a rather washed out and not easily readable screen appears, things become clearer once an image is selected. The main function appears to be modifying an image by applying different coloured washes over the image, putting frames around, and applying textures plus one I was unaware of called bokeh. The latter is the ability to select an area of variable size and position in which the centre remained sharp but the surrounding areas become blurred, the size of these areas can be varied. The functionality seemed a bit limited compared to the size of the download but having said that there are a large range of frames, overlays and textures that must make up the bulk of it. It has the potential to change your images in many different ways both good and bad in these will only be found by experimentation, and there's certainly plenty of scope for that with so many combinations. An interesting program that is worth having a dabble with but not one I would be inclined to buy but as it is free today I'll be keeping it. Installed and registered; when details are filled in the registration code appears on the screen rather than by e-mail, the busy screen does not make this to easy to see. On opening a rather washed out and not easily readable screen appears, things become clearer once an image is selected. The main function appears to be modifying an image by applying different coloured washes over the image, putting frames around, and applying textures plus one I was unaware of called bokeh. The latter is the ability to select an area of variable size and position in which the centre remained sharp but the surrounding areas become blurred, the size of these areas can be varied. The functionality seemed a bit limited compared to the size of the download but having said that there are a large range of frames, overlays and textures that must make up the bulk of it. It has the potential to change your images in many different ways both good and bad in these will only be found by experimentation, and there's certainly plenty of scope for that with so many combinations. An interesting program that is worth having a dabble with but not one I would be inclined to buy but as it is free today I'll be keeping it. I would not be surprised if snapseed was way superior to today's offer. After all Google took over the famous NIK collection of filters. As you also comment on the size of today's software I could throw some light onto to that in as much as Photoshop in the Program folder takes up 1.5 GB and in the AppData area another 500 MB or so. As I am not installing today's software and as such cannot say whether the app works in a destructive or non-destructive way I would warn anyone against using originals. Always on a copy because even with undo function pixels may have already been changed, invariably a degradation in quality. But as Giovanni used to say; enjoy ! <b>XP-Man</b> As I'm a Photoshop junkie I have no need for this particular software. However if you have an IOS or Android device aka smartphone or tablet you might care to take a look at snapseed https://support.google.com/snapseed#topic=6155507 I would not be surprised if snapseed was way superior to today's offer. After all Google took over the famous NIK collection of filters. As you also comment on the size of today's software I could throw some light onto to that in as much as Photoshop in the Program folder takes up 1.5 GB and in the AppData area another 500 MB or so. As I am not installing today's software and as such cannot say whether the app works in a destructive or non-destructive way I would warn anyone against using originals. Always on a copy because even with undo function pixels may have already been changed, invariably a degradation in quality. But as Giovanni used to say; enjoy ! "I would not be surprised if snapseed was way superior to today's offer." Not just Snapseed... Some people get real serious about the photos they take with their cell phones, & there's a huge number of apps available for taking &/or editing pictures, plus the stuff you can do using Google's photo storage. <b>Sigrid.DE</b> <i>"I would not be surprised if snapseed was way superior to today's offer. "</i> Not just Snapseed... Some people get real serious about the photos they take with their cell phones, & there's a huge number of apps available for taking &/or editing pictures, plus the stuff you can do using Google's photo storage. Indeed, I spent hours reading user opinions at the Google Play Store and tried the pick of the bunch. So it was back to the DSLR for me and no regrets. <b>mike</b> Indeed, I spent hours reading user opinions at the Google Play Store and tried the pick of the bunch. Sadly, and totally inexplicably, none improved the lousy quality of my pics :-) So it was back to the DSLR for me and no regrets. Going to try the BlueStacks version as well as the APK, must admit I liked the bokeh effect in today's download. Such a shame it put such a large amount on the system partition. <b>Sigrid.DE</b> Ta! Going to try the BlueStacks version as well as the APK, must admit I liked the bokeh effect in today's download. Such a shame it put such a large amount on the system partition. yes, the so-called bokeh effects is what everybody is after these days. So you are trying to emulate droid on PC? <b>XP-Man</b> yes, the so-called bokeh effects is what everybody is after these days. So you are trying to emulate droid on PC? Best of luck!